Alumni Tracy Fulghum and Tim Peeler (right) in Reynolds Coliseum. Ask longtime friends Tim Peeler and Tracy Fulghum what they remember about watching NC State University men’s basketball as students, and they’ll mention a handful of players. A few big rivalry games will come up, too. But beyond the moments, most of all, the two alumni will talk about the atmosphere of being at those games. The feeling. And the sound. 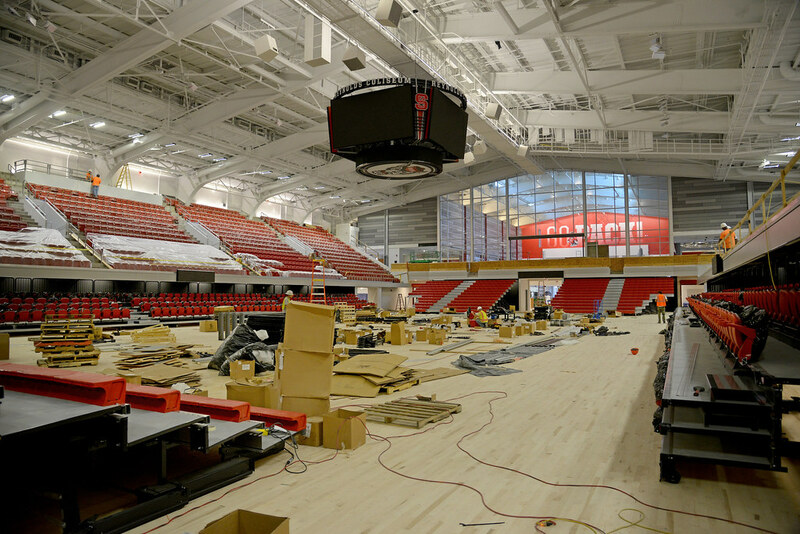 Starting during their freshman year in autumn 1983, the environment of Reynolds Coliseum – the Wolfpack men’s home from 1949 through 1999 before the move off campus to what’s now PNC Arena – made an impression. “It got so loud, if you were there for a Carolina or Duke game, you couldn’t hear anything that people next to you said,” Fulghum said. 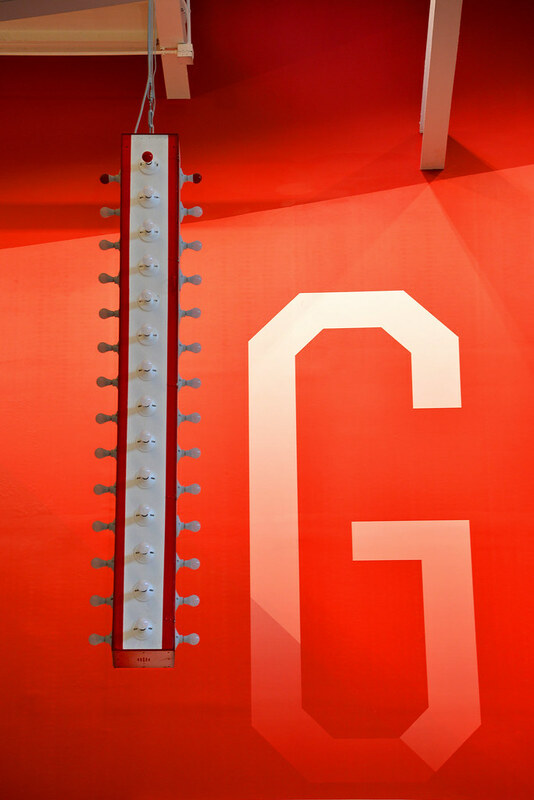 Ah, the noise meter: a narrow, four-sided creation of wood, wiring and lightbulbs that hung in the coliseum for decades, high in the rafters near midcourt. A vertical row of 13 white bulbs lined each side, leading upward to a final quartet of red bulbs. As crowd noise built, surpassing jackhammer and sandblasting decibel levels, more bulbs glowed. Students designed and built the noise meter at the behest of the late Everett Case, legendary Wolfpack coach and innovative showman. Over the years, its simplicity became as much a cornerstone of games in the “old barn” as the pep band, the cheerleaders and mascots, the red-and-white championship banners, the lack of air conditioning, the narrow upper concourses and the wafting cigarette smoke of another era. 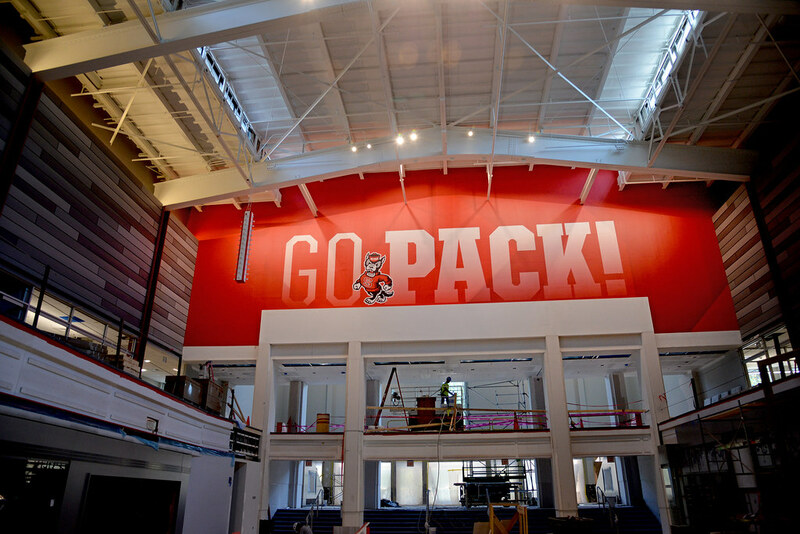 The coliseum is undergoing a $35 million renovation, which is nearly complete and which includes the installation of a NC State Walk of Fame and History. 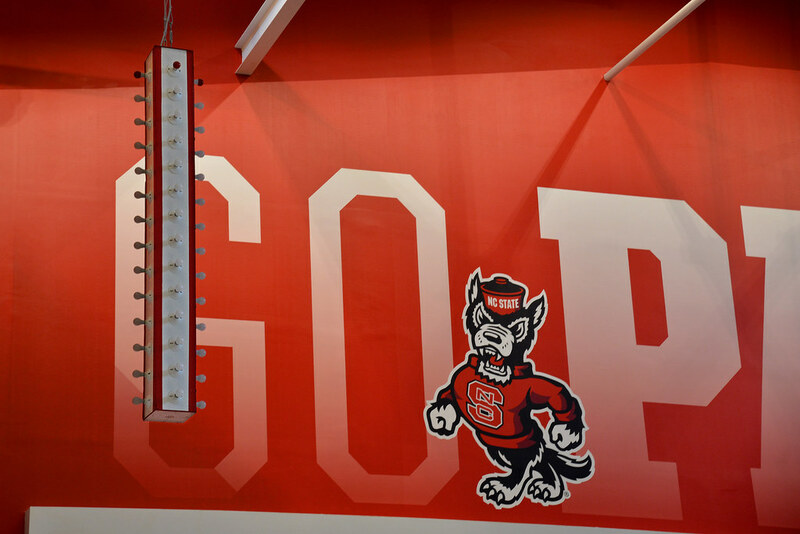 Throughout the building, donors can sponsor artifacts, cases and displays that acknowledge every Wolfpack sport, as well as Reynolds’ place in university, athletics and cultural history. 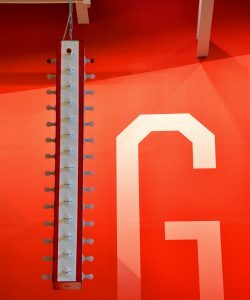 The noise meter is among the sponsored artifacts, and Peeler and Fulghum jumped at the chance to donate to its permanent display. 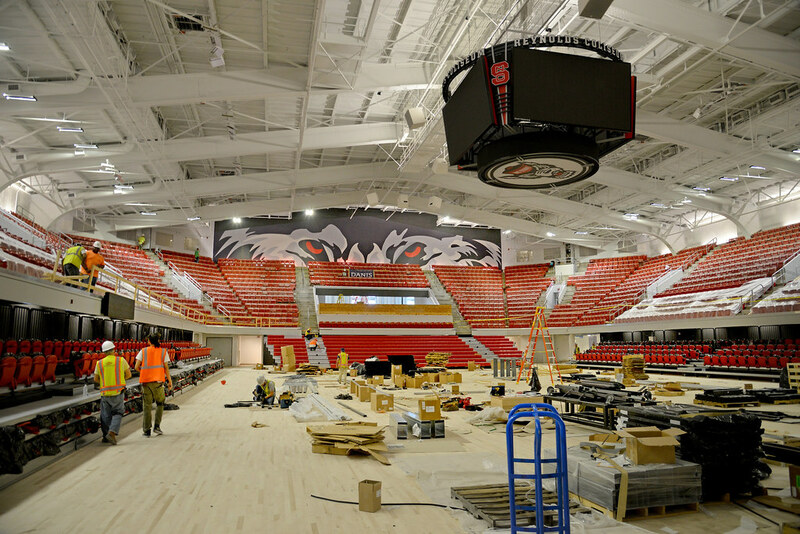 Peeler, who graduated with a bachelor’s degree in English and is a writer and editor for University Communications at NC State, did a lot of the research and writing that will showcase Wolfpack sports history in Reynolds. He wanted to contribute even more to the coliseum’s reimagining – a gift that his family could share. Preserving the noise meter seemed the perfect fit. 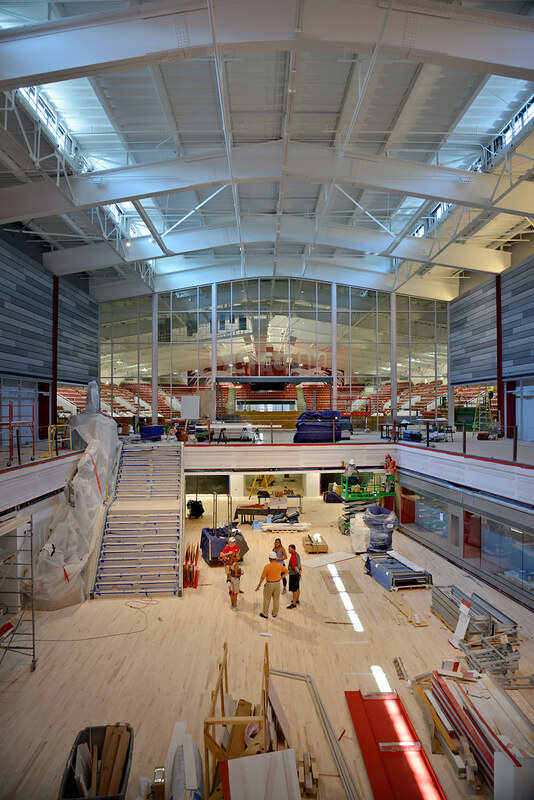 The noise meter has been installed in the new three-story grand hall, visible near the ceiling to the right as one enters through the original coliseum lobby. Peeler has long applied earnings from freelance writing projects – including three books about NC State basketball – toward charitable interests. Proceeds from an updated version of his 2004 volume Legends of NC State Basketball, issued last year by Skyhorse Publishing, will go toward the noise meter. And, not for the first time, Peeler enlisted an assist from Fulghum. The noise meter that recently was rehung in Reynolds dates to about 1962, as best as anyone can tell; an earlier edition debuted in the early 1950s. 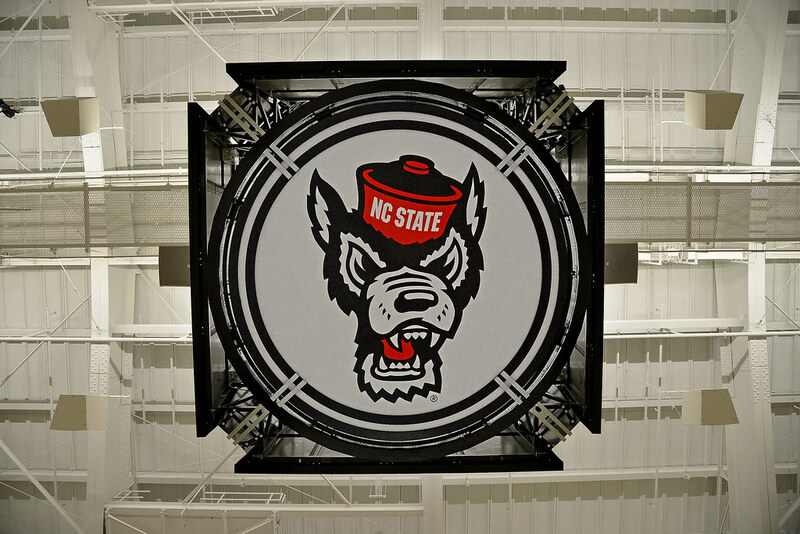 When the university celebrated the 100th anniversary of its men’s basketball program in 2010, the device made a special trip to the more expansive PNC Arena for the Wolfpack’s game against the UNC Tar Heels. Peeler, then writing fulltime for the athletics department, had become an unofficial historian of Wolfpack sports. He learned a lot from the late Frank Weedon, a senior associate athletics director. Weedon knew about trophies, 8-millimeter film reels and other relics and treasures stashed throughout Reynolds’ nooks and crannies. So, why not call up an old buddy who’s an engineer? Fulghum – who works in Research Triangle Park at Northrop Grumman and who first met Peeler in summer 1982 at Governor’s School – happened to earn his bachelor’s and doctoral degrees in electrical engineering from NC State. With help from three other engineers and several group members’ children, Fulghum and Peeler spent a couple of days rewiring and repainting the noise meter for that 2010 appearance. 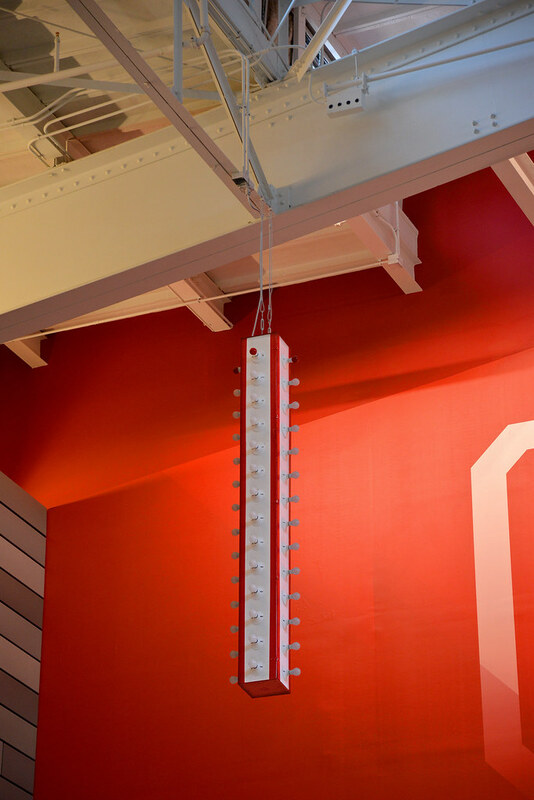 After more thorough professional refurbishment, it has been installed in the new three-story grand hall, visible near the ceiling to the right as one enters through the original coliseum lobby. Fittingly, the meter isn’t far from where Case, NC State’s trailblazing coach from 1946 to 1964, once maintained a corner office. In addition to achieving competitive success, Case is often credited with initiating what are now well-known hoops traditions – such as using spotlights for pregame player introductions and cutting down the nets after a championship win. 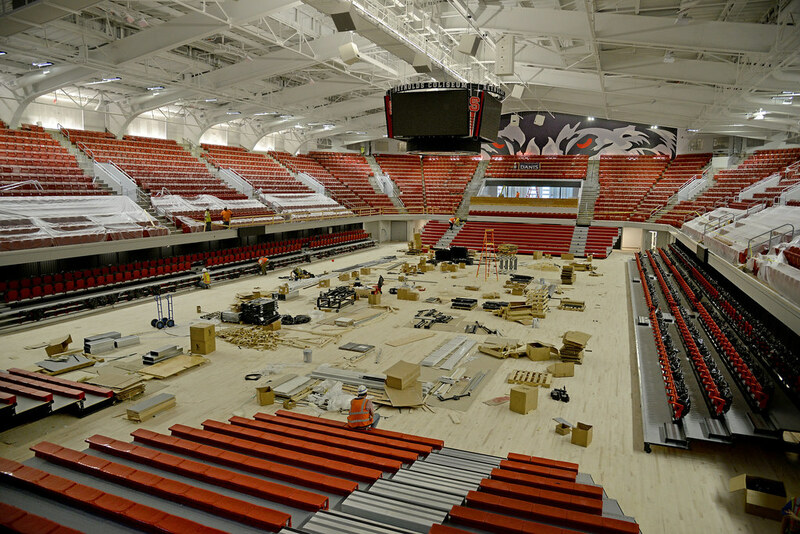 Reynolds Coliseum, nicknamed “The House that Case Built,” has hosted its share of concerts, circuses, drop-add days, graduations and presidential visits. 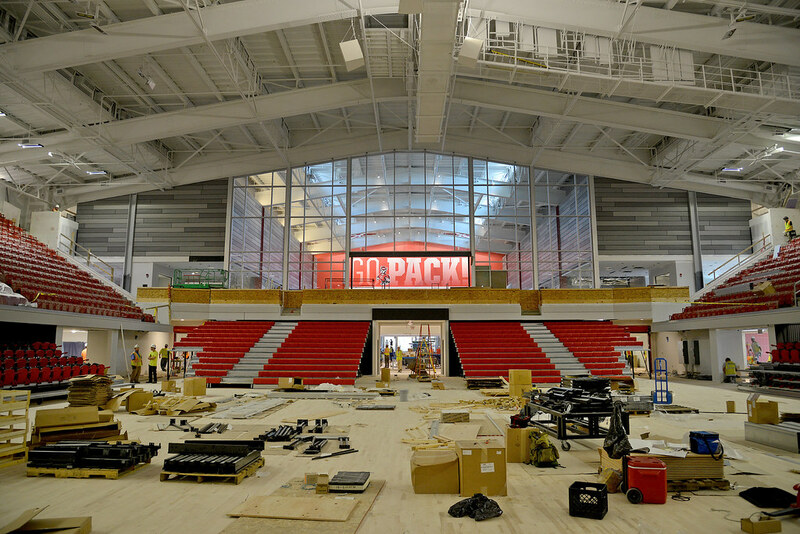 Renewed like neighboring Talley Student Union, it again will be the center of NC State’s women’s basketball, volleyball, wrestling, gymnastics, rifle and ROTC programs. 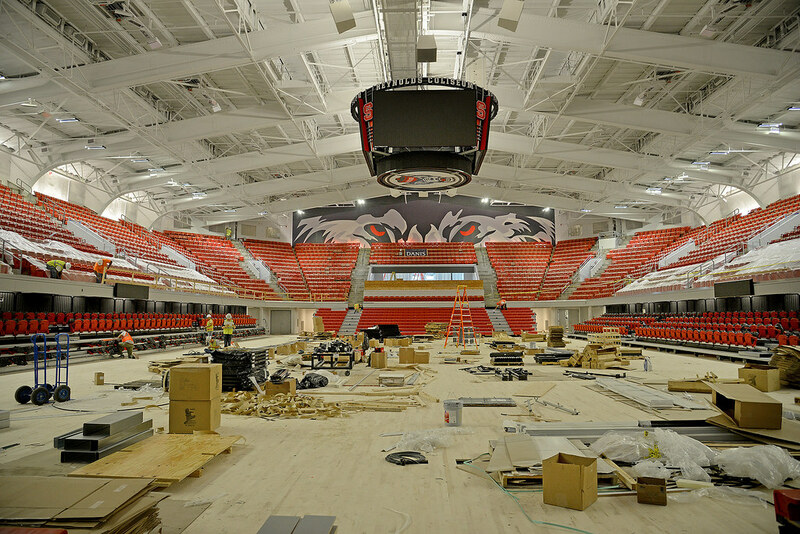 And thanks to a few simple lightbulbs and planks of wood, decades of raucous cheers for the Wolfpack will continue to echo. The artifact will spur memories and conversations for many fans, no matter which era of players, coaches and friends they hail from. That’s what it does for its benefactors.